BioFume Mole smoke generator is a natural repellent that works well to keep burrowing animals from lawns, gardens and other planting areas. 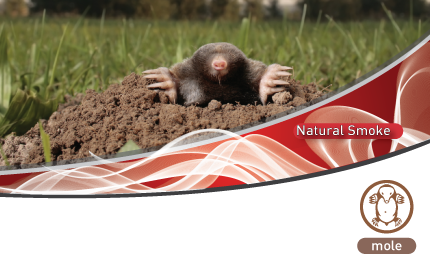 Easy-to-use smoke mole repellent is a highly effective formula for preventing digging and tunneling damage caused by moles and voles. When the generator is lit and put down the moles tunnel the lavender oil coats the tunnel, forming a physical barrier over its surface and tainting the mole’s food source. The mole then moves on to another location to find food. It is simple to use, dries clear and odor free and is safe to use around fruits and vegetables. Where to use Biofume Mole Smoke Generator? 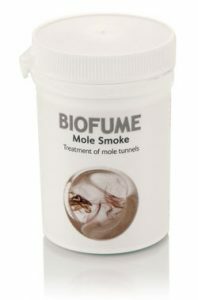 The use of BioFume Mole Smoke Generator may be subject to local regulation and a registration may be required. Please check with your local authorities or contact us to know more about the registration in your country.